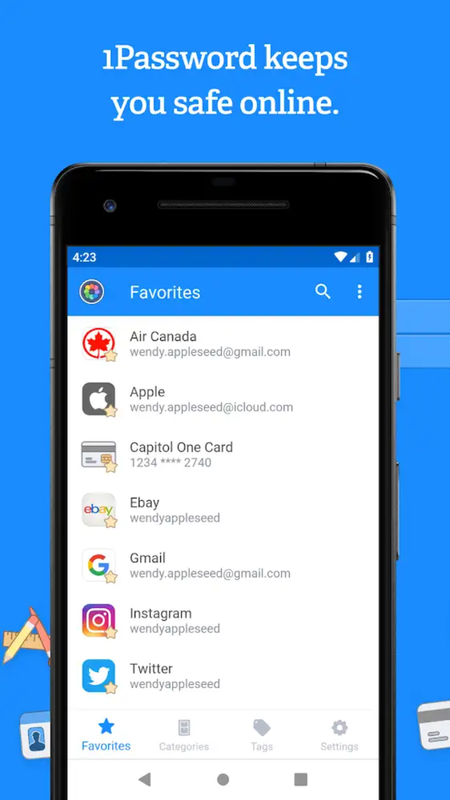 1Password offers just about everything you could want from a password manager: it can generate and store passwords and save credit card information, and it plays nice with Android's Autofill API, so it can fill that information in on your phone without any friction. 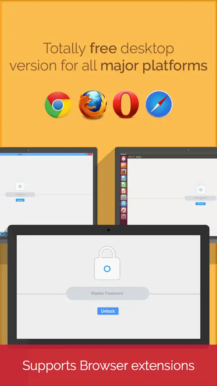 It's got browser add-ons for Chrome, Firefox, Safari, Edge, and Opera, so it'll work on your desktop, too. 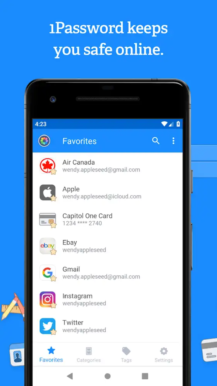 You can even store sensitive documents, if you don't trust Google Drive with your tax returns (or whatever). 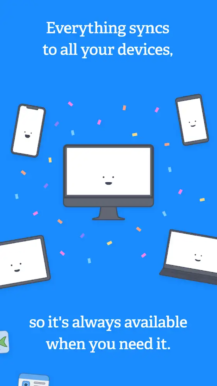 Plans are $36 a year for individual users, or $60 a year for families of up to five. You can try it out for free for 30 days. 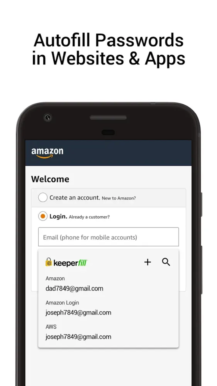 Keeper offers benefits very similar to 1Password. 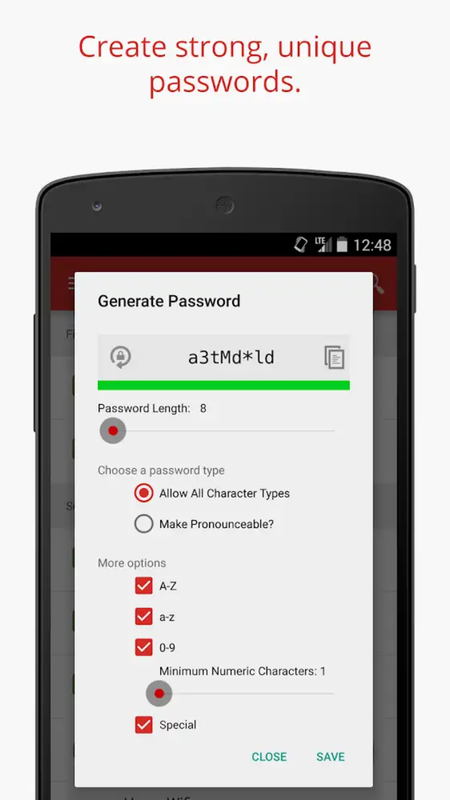 It's compatible with the Autofill API, it generates passwords, it stores them (plus other info), the whole nine. Pricing is a little lower, too, at $30 a year for individuals (although it's still $60 for the pretty-much-identical family plan). Also, it offers a browser add-on for Internet Explorer, if that's still your jam. 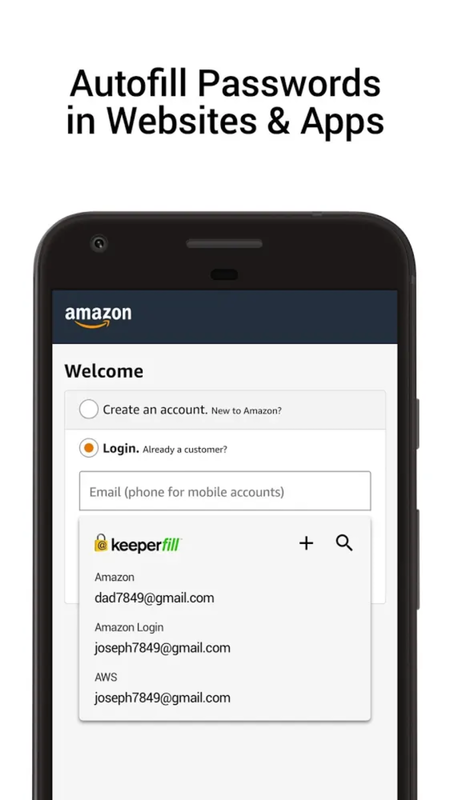 You can use Keeper for free on a single device, but if you want your passwords to sync everywhere you use them, you'll have to pony up that membership fee. 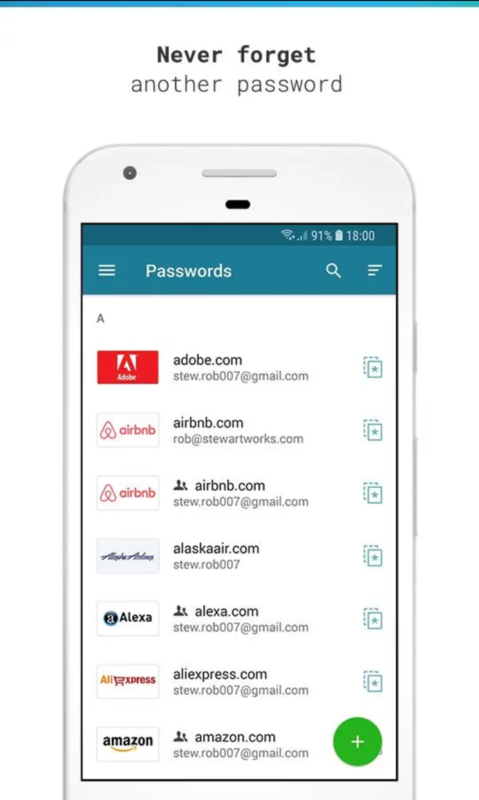 Like Keeper, Dashlane offers a free option for a single device, although it only stores up to 50 passwords. 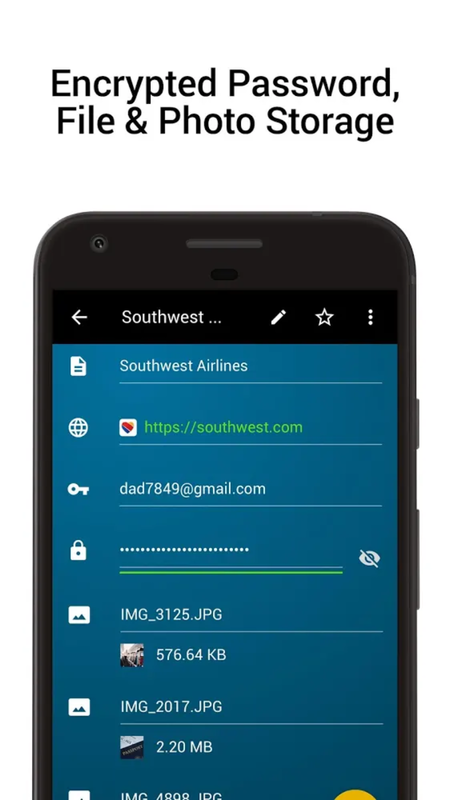 To get unlimited password storage, you'll have to pay $60 a year for Dashlane's Premium plan. 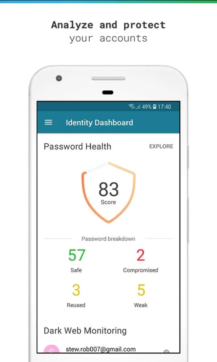 The higher fee does come with more features than the other managers on this list, though, including a VPN, and what the company calls "Dark Web Monitoring," which is supposed to let you know if your information turns up anywhere unsavory online. 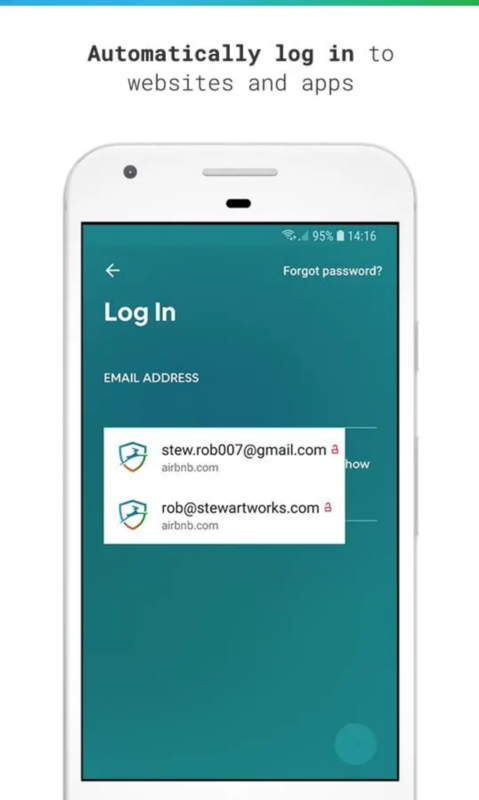 Dashlane also offers a Premium Plus plan for $120 a year that features all the benefits of regular Premium, plus credit monitoring and identity theft insurance options. 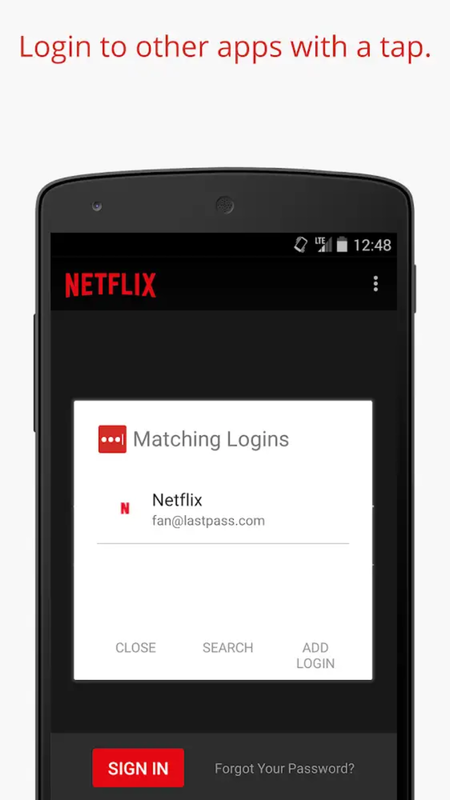 Enpass does things a little differently than the previous password managers on this list. 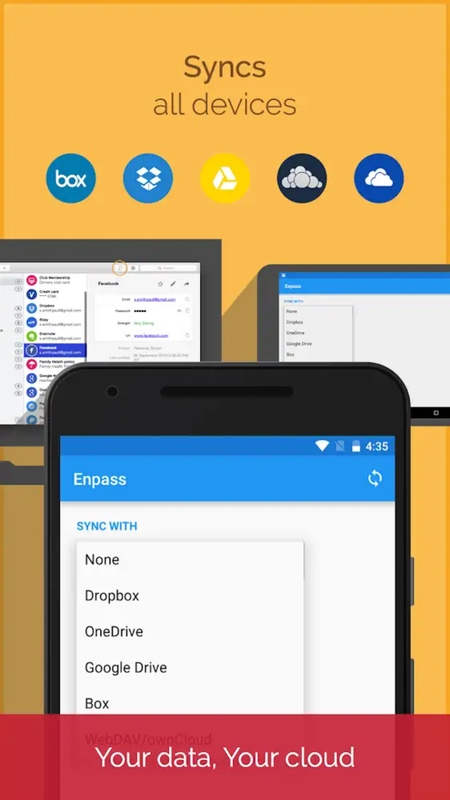 On desktop, Enpass is completely free. 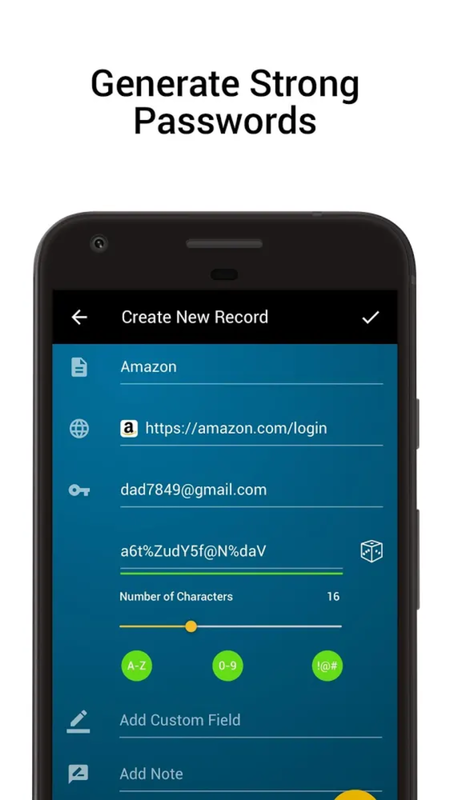 It's free on mobile, too, for storing up to 20 passwords; if you want to store more than that, it's 10 bucks — one time per device. By default, passwords are stored locally on your device, but Enpass gives you the option to sync them to the cloud storage service of your choice. 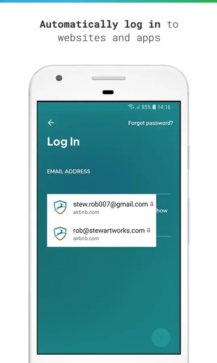 Otherwise, Enpass works the same as the rest: it can make up secure passwords for you, store them, and automatically fill them in on desktop and mobile. If you value local password storage (something 1Password offered at one time, but not anymore), Enpass is probably the service to beat. 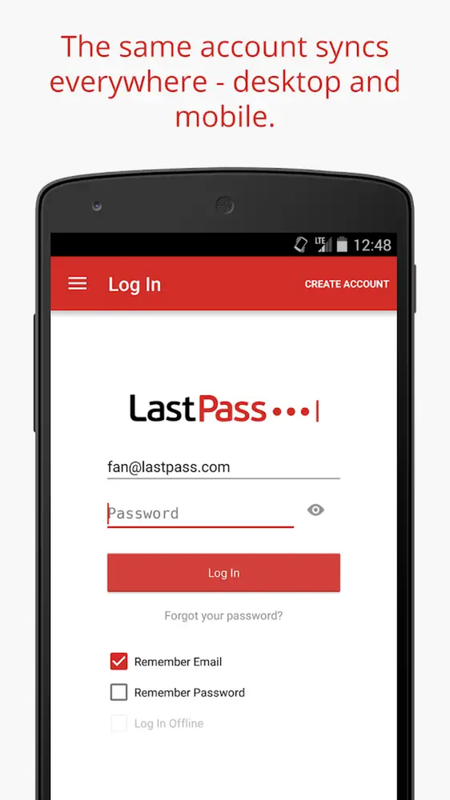 Of these password managers, LastPass is perhaps the most generous in its pricing. 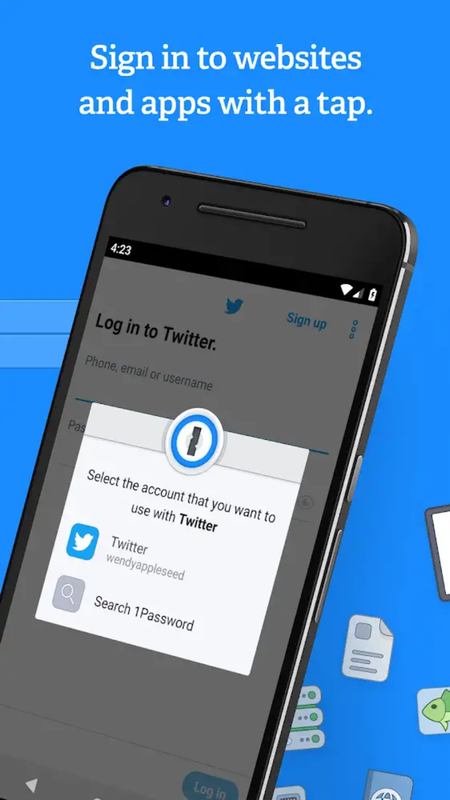 A free account lets you store passwords and other information across your desktop and mobile devices — and that basic functionality is probably enough for most people. A premium LastPass account costs $24 a year for an individual and $48 a year for families of up to six users. Paying that fee will let you grant other users access to individual passwords or even your entire account, as well as access "advanced multi-factor options." When it comes to core functionality — and you may be noticing a pattern here — LastPass is more or less the same as the other options. 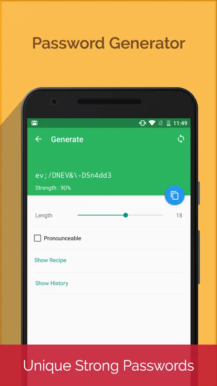 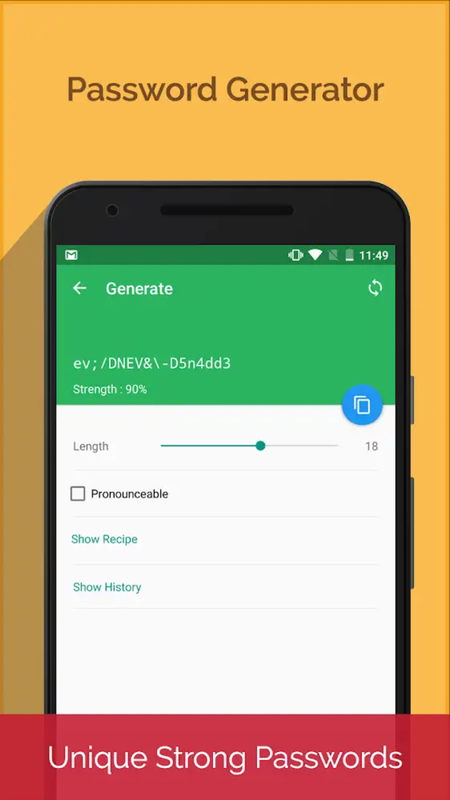 It generates passwords, stores 'em, and automatically fills them in across Android (through the Autofill API) and desktop (by way of browser add-ons). 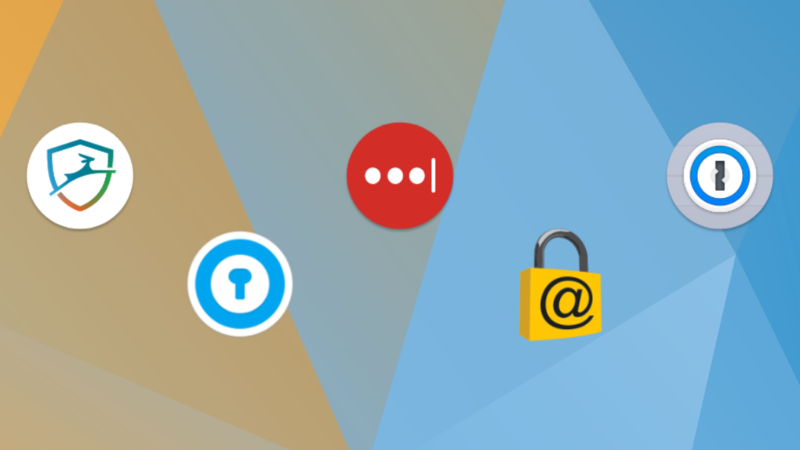 All five of these password managers provide the same basic service: they generate and store passwords and fill them in across all your devices. They all work with Android's Autofill API, and they all use 256-bit encryption. 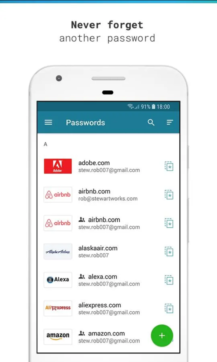 Deciding which is right for you comes down to finer details, like LastPass' affordability, Enpass' local storage, or Dashlane's credit monitoring. 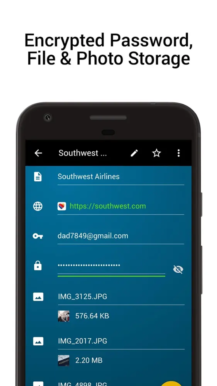 Whichever you choose, you're getting a quality service that'll make your life just a little simpler.